Goa’s miners were always publicity shy, knowing that their profession generically conjures up a negative image all over the world. But after activists and local media started to highlight illegal mining and environmental damage in a big way, prominent miners such as Sesa Goa, Fomento Resources, and Salgaocars, under the aegis of their trade body, decided to come out in the open with their views as much to show their innocence as to survive. 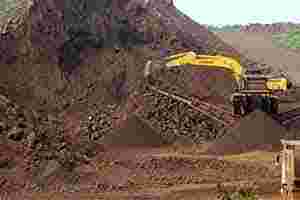 But it is unlikely that the voice of Goa’s miners, asking for mining operations to stay on after a clean up of the fly-by-night operators, will find support from other quarters of the industry or public or even the government. This is because there are several indicators that show their case is very weak. The second indicator that goes against the miners is the demand from their biggest client - China. India has an economic rivalry with this emerging market peer and popular and political sentiment does not favor enriching China’s steel industry at the cost of environment degradation in Goa. Imports of steel from China are rising and an envious steel industry in India hasn’t stopped demanding for Goa to stop work. Thirdly, Goan ores have hardly any takers in India owing to its low Fe content as well as its location - it is far from the steel plants in east and south India. Even if Goan miners process their ores to upgrade it, they will be far too expensive when transported to a plant, even if it uses the ultra-modern technology that can gobble up low grades of ores. So no steel maker will raise a voice in support of the miners. There is also an anti-corruption wave across the nation which has enraged common people and they are baying for the blood of wrongdoers. As Anna Hazare arm twists the government in the centre, Goan activist Claude Alvares bites the authorities and miners with his lawsuits. And people are listening to them more carefully now. Lastly, the mine owners own confession of "inadvertent mistakes" last month was like hitting their own foot with an axe. Mining is indeed a precision task where equipment and men work in close contact. Huge amounts of water is used for washing the ores and tailing dams with slushy sediments of leftover minerals can be death traps as shown by three accidents, one fatal, in the last two years. If the miners said “sorry" now for their inadvertent mistakes, no one would forgive them. So it would not be a surprise if the Shah Commission recommends a ban on iron ore exports in Goa, which effectively will curtail, or maybe stop, mining altogether, as no one else can buy Goan ore at home. Who will be hurt then? The investments in plants, the 20,000 truck owners and their loans, around 75,000 people working in the mines and the government that collected in royalties of ₹ 980 crores last year, just a notch below the ₹ 950 -1,000 crore revenue collected from tourism. Big miners like those named above may take some comfort from their timely diversification into other businesses such as tourism and hospitality.